Mexico sits high on the travel bucket list and I hope to travel there soon. 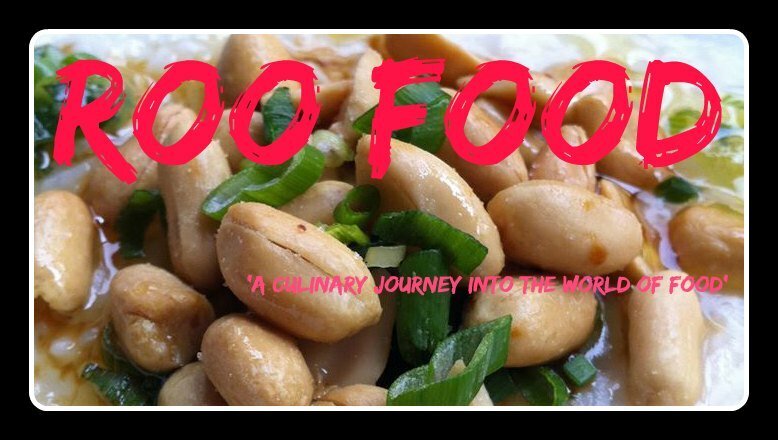 Amongst many reasons, I have always loved Mexican food and the more I read about the regional specialities and delve into more traditional cuisine the more I want to go. 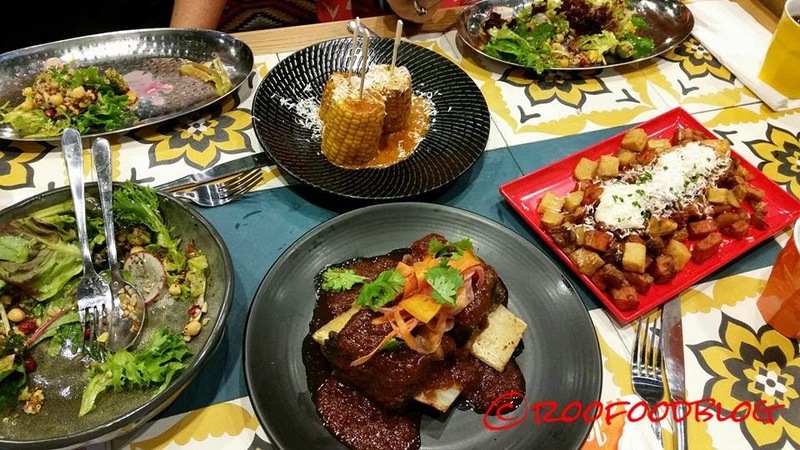 Mexican food is not all about burritos, enchiladas, nachos and cheese laden dishes or the odd margarita. That’s more Tex-Mex and holds it’s own up North but in fact, true Mexican cuisine is extensive and regional and includes fresh, zesty, healthy salads, fruits and vegetables, long, slow braised meats and dishes with deeply flavoured layered sauces, chilli’s and fluffy tortillas. It’s diverse and cultural and has kept its roots from the Aztecs and Spain, along with a few other cultures thrown in to the mix over the years. So today, I just came back from a fabulous lunch with the girls. We road tested a new restaurant that has recently opened on Level 6 of Westfields Sydney. Los Vida (which means The Life in Spanish) is offering traditional, fresh, tasty Mexican food and at very reasonable prices and a sit down restaurant in Westfields. Perfect! Our server is welcoming and friendly and we are seated in a booth outside the restaurant (inside Westfields) for a quick one hour lunch catch up. We arrive at noon, so it’s not busy yet (but once word gets out I think it’s going to get busier). We are positively drooling over the menu. As there is so many dishes we want to taste, we decline one of my greatest loves, guacamole and corn chips, as a starter, but I do note it for next time. The list of tacos look enticing and we choose one each, with the idea of cutting each into three to taste each one. On arrival we realise that would be messy and we just eat the one we chose. 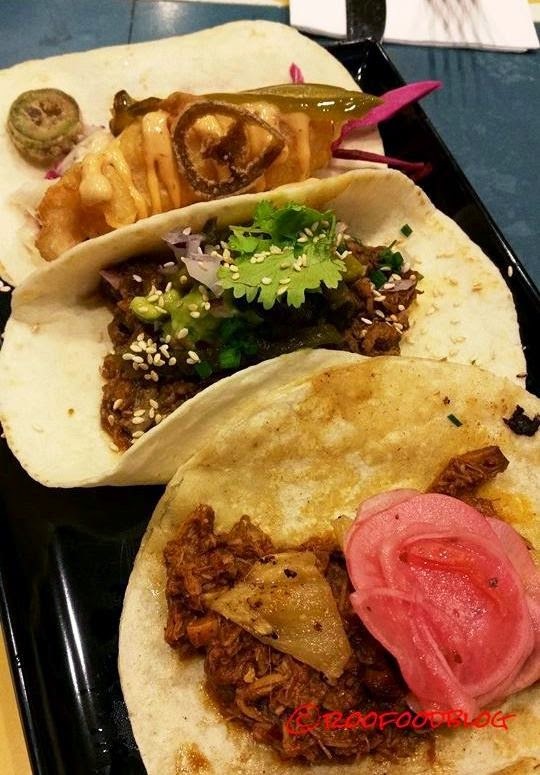 I go with the Pork Taco – filled with pibil braised pork, caramelised pineapple, habanero & radish with pickled onion. Anything ‘porky’ will always grab my attention but add caramelised pineapple and I’m sold! I opted for the corn tortilla and this was a perfect wrap to go with the pork and pineapple. The other two tacos are the Beef Taco with chipotle adobo, sesame oil, coriander, chives, red onion, lemon juice, guacamole and poblano chilli w sesame seeds and the Fish Taco with beer battered barramundi, zesty lime, cabbage slaw and 3 style jalapenos w chipotle mayo. I nibbled on an escaped deep fried crispy jalapeno from the fish taco and it was delicious. Note that you can order a taco sampler for $30 (which includes 7 tacos). We do end of up sharing the rest of the meal. Next up we dig into a big bowl of Ancient Grain Salad with quinoa, broccoli, kale, butternut pumpkin, corn kernels, pumpkin seeds, sunflower seeds, chia seeds, parsley, jalapenos and pomegranates with a Tequila dressing. 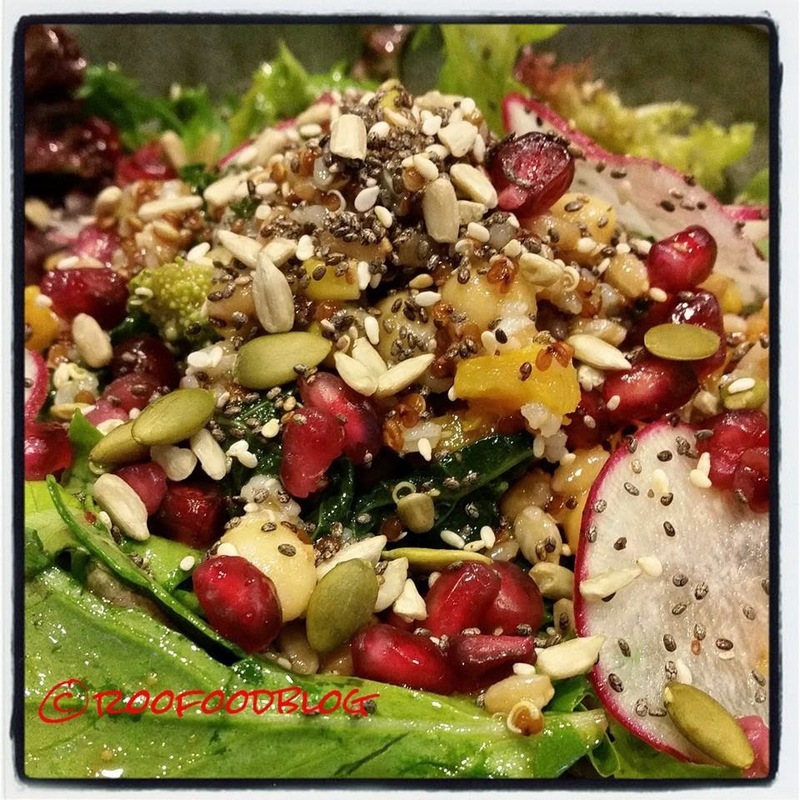 This salad was so fresh and tasty and nourishing. I was expecting the Tequila dressing to have more of a boozy zing to it, rather this was smooth and delicate and I wasn’t disappointed. 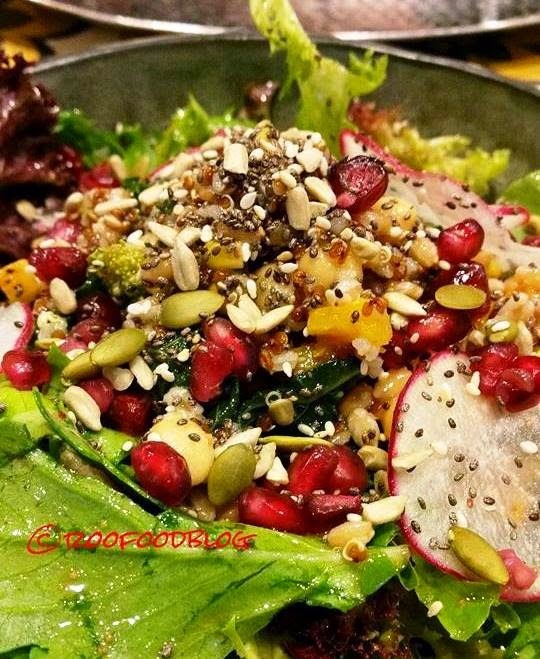 Really lovely salad. It’s the Beef Ribs that grab my attention. 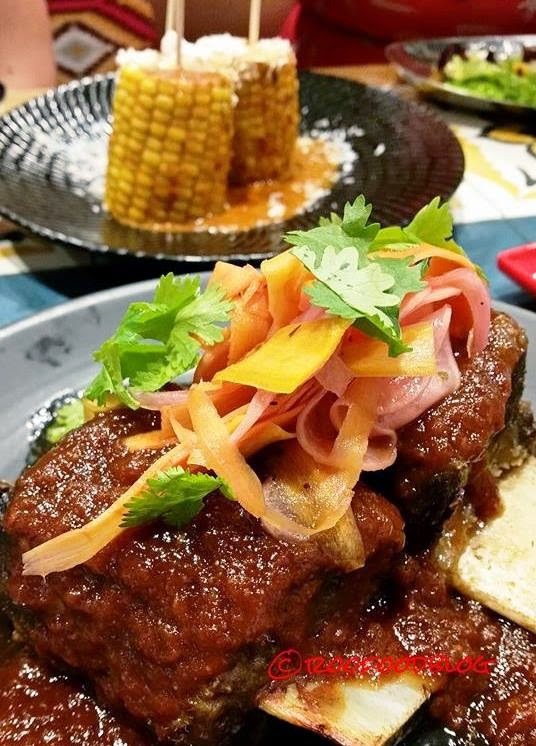 Two large meaty ribs, doused in a chipotle glaze (and very saucy) topped with radish, spanish onion and pickled habanero. The flesh is fork tender and literally fell off the bones as we cut through it. The sauce has a hint of heat. I would highly recommend this dish. 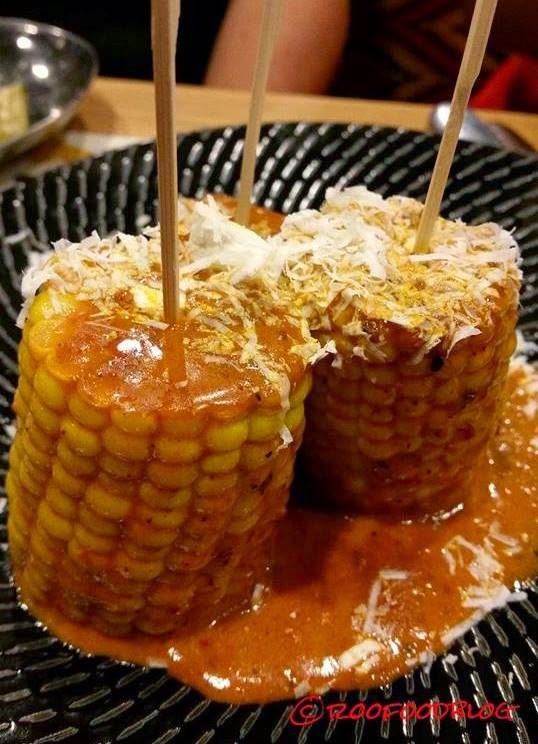 For sides we go with the Farmers Grilled Corn, sprinkled with queso fresco, lime, chipotle crema and butter and coriander. 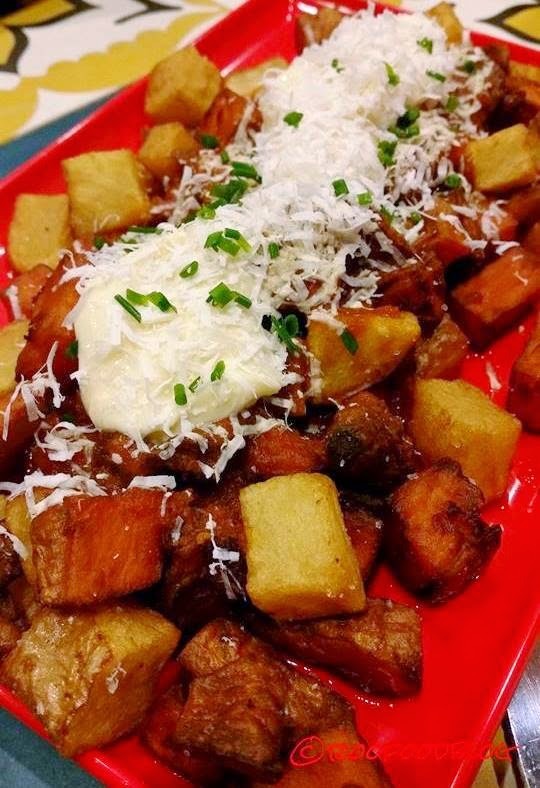 However, it’s the Patatas Bravas side dish that stops me in my tracks. Crispy cubes of potato AND sweet potato covered in brava sauce and garlic aioli with chives. Oh my this is a comforting dish and I take a moment to relish it. Apart from always enjoying lunching with my friends and catching up with them, I really enjoyed Los Vida and the delicious food on their menu. No room (nor time) to go with a dessert….we sit back, bellies full and feeling satisfied and we all have little grins knowing that we will be back again for seconds! Agreed. I'd love to go to Mexico one day! Thanks for the review and support, we look forward to having you girls over soon. Mucho Love! Yes it is true that Mexico is one of the best places to visit. I also have a desire to visit there. If I had enough money for that I would definitely visit there. Anyways, I am going to visit Boston pretty soon. Can you share any list for best Mexican food Boston restaurants?